Every girl wants a pony! 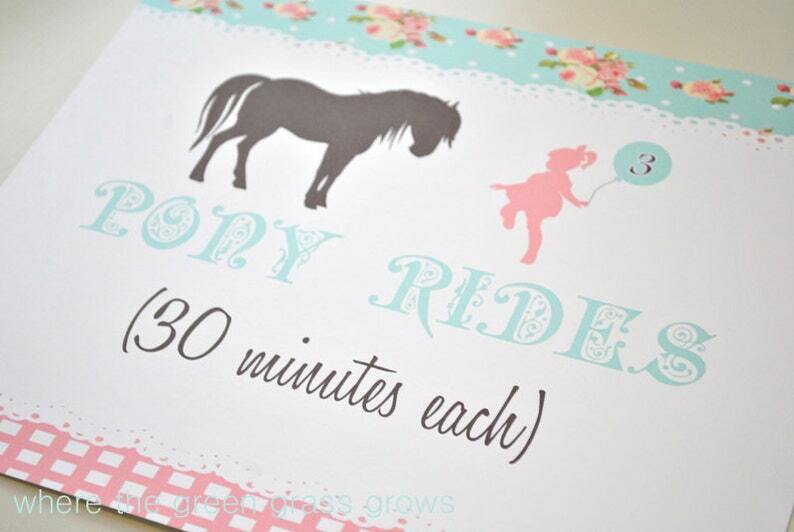 Designed to coordinate with the Vintage Shabby Chic Pony Party Collection. I also make many other party items such as thank you cards, party banners, address labels cupcake toppers, round stickers, goody/gift bag tags, party hats and more. Other items pictured are not included in this listing. This sign was a cute addition to our pony party.